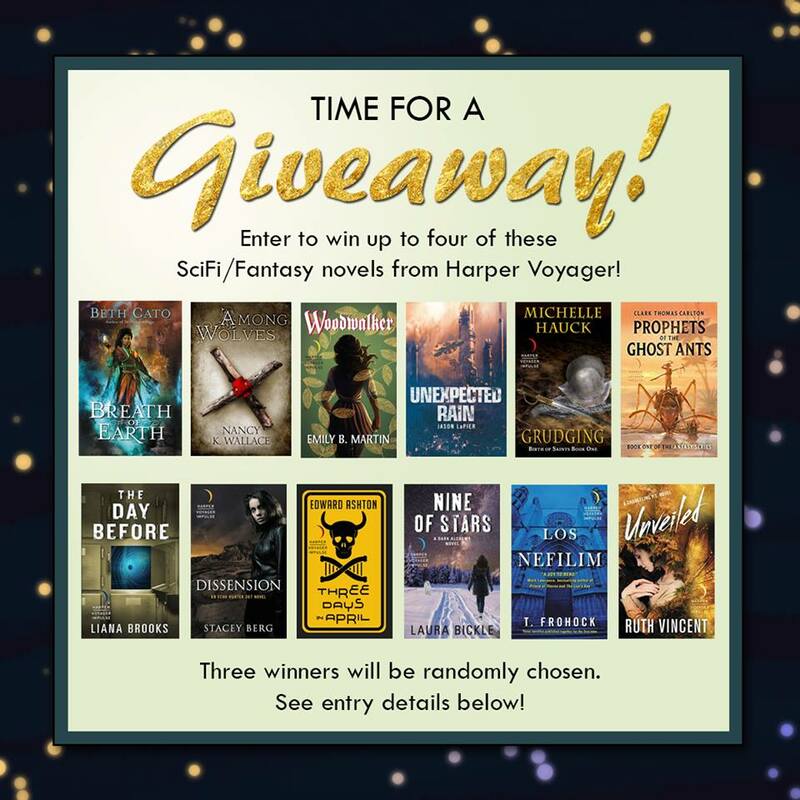 A Harper Voyager Author SFFChat and Giveaway! Family is such a comfort. There's your blood family and then there's the family you create through shared experiences. There's no better shared experience than writing, and many of the authors from Harper Voyager have become close. We love to support each other. And we love to do things together! Like chat about science fiction and fantasy books. And super lucky for readers, we like to give away books together, too! Please check out this collection of magnificent science fiction and fantasy books! Then use the rafflecopter below to enter to win a paperback copy. Or if a book sounds too good to miss, links are included so you can go ahead and purchase. We will choose three winners/each winner will receive four books. (Note: Winners must provide a US address.) The contest runs from Saturday, March 4th until March 15th. Please remember to tweet about the giveaway for extra chances to win! And be sure to join us for our monthly twitter #SFFChat at 3:00 pm and 8:00 pm EST on Monday, March 6th. We'll be chatting about every aspect of being a writer: querying, editing, drafting, marketing, and much more. We want you to join our SFF Family. And if anyone can help Mona Alastaire of Lumen Lake, it is a former Woodwalker—a ranger whose very being is intimately tied to the woods they are sworn to protect. Mae was once one of the best, and despite the potential of every tree limb to become the gibbet she’s hanged from, she not only feels a duty to aide Mona and her brothers, but also to walk beneath her beloved trees once more. Three brilliant novellas. One fantastic story. After the Earth’s power is suddenly left unprotected, a young geomancer must rely on her unique magical powers to survive in in this fresh fantasy series from the author of acclaimed The Clockwork Dagger. Winter is the most deadly season in Temperance. And it’s not just because of the fierce cold. Evil is stalking the backcountry of Yellowstone, killing wolves and leaving only their skins behind. As the snow deepens, Geologist Petra Dee is staring her own death in the face, while former Hanged Man Gabriel struggles with his abrupt transition back to mortality. The ravens and the rest of the Hanged Men are gone, and there are no magical solutions to Petra’s illness or Gabriel’s longing for what he’s lost…and what he stands to lose now. Meanwhile, there’s a new sheriff in town. Sheriff Owen Rutherford has inherited the Rutherford ranch and the remnants of the Alchemical Tree of Life. He’s also a dangerously haunted man, and his investigation of Sal’s death is leading him right to Gabriel. It’s up to Petra, her coyote sidekick Sig, and Gabriel to get ahead of both Owen and the unnatural being stalking them all – before the trail turns deathly cold. In a world divided between the genetically engineered elite and the unmodified masses, Anders is an anomaly: engineered, but still broke and living next to a crack house. All he wants is to land a tenure-track faculty position, and maybe meet someone who's not technically a criminal—but when a nightmare plague rips through Hagerstown, Anders finds himself dodging kinetic energy weapons and government assassins as Baltimore slips into chaos. His friends aren't as helpless as they seem, though, and his girlfriend's street-magician brother-in-law might be a pretentious hipster—or might hold the secret to saving them all. Frenetic and audacious, Three Days in April is a speculative thriller that raises an important question: once humanity goes down the rabbit hole, can it ever find its way back? When rebellious citizens challenge the Church’s authority, it is Echo’s duty to hunt them down before civil war can tumble the city back into the dark. But Echo hides a deadly secret: doubt. And when Echo’s mission leads her to Lia, a rebel leader who has a secret of her own, Echo is forced to face that doubt. For Lia holds the key to the city’s survival, and Echo must choose between the woman she loves and the purpose she was born to fulfill. Both familiar and fantastic, Clark T. Carlton’s Prophets of the Ghost Ants explores a world in which food, weapons, clothing, art—even religious beliefs—are derived from Humankind’s profound intertwining with the insect world. In a savage landscape where humans have evolved to the size of insects, they cannot hope to dominate. Ceaselessly, humans are stalked by night wasps, lair spiders, and marauder fleas. And just as sinister, men are still men. Corrupt elites ruthlessly enforce a rigid caste system. Duplicitous clergymen and power-mongering royalty wage pointless wars for their own glory. Fantasies of a better life and a better world serve only to torment those who dare to dream. One so tormented is a half-breed slave named Anand, a dung-collector who has known nothing but squalor and abuse. Anand wants to lead his people against a genocidal army who fight atop fearsome, translucent Ghost Ants. But to his horror, Anand learns this merciless enemy is led by someone from his own family: a religious zealot bent on the conversion of all non-believers . . . or their extermination. 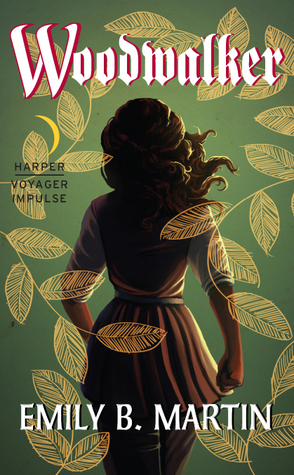 A mix of Adrian Tchaikovsky’s Shadow of the Apt, Katherine Addison’s The Goblin Emperor, and Phillip Pullman’s Golden Compass, this is a powerful new addition to the genre. Young Devin Roché is about to graduate as an Archivist from the prestigious Llisé’s University, and there is just one more task he wants to complete – to preserve a complete history of Llisé. In a domed city on a planet orbiting Barnard's Star, a recently hired maintenance man has just committed murder. Minutes later, the airlocks on the neighbourhood block are opened and the murderer is asphyxiated along with thirty-one innocent residents. Jax, the lowly dome operator on duty at the time, is accused of mass homicide and faced with a mound of impossible evidence against him. His only ally is Runstom, the rogue police officer charged with transporting him to a secure off-world facility. The pair must risk everything to prove Jax didn't commit the atrocity and uncover the truth before they both wind up dead.